Right now, at this very moment, you can buy yourself a drone with a dedicated remote controller for just $38.99. Drones are fun. Drones allow you to capture video and snap photos in a way you just can’t do otherwise. But, drones are expensive at the same time. AKASO thinks otherwise and wants everyone to pilot its A21 quadcopter which is packed with a ton of features. First of all, there’s the bundled controller which makes everything so much worthwhile. Trust me when I say this, but flying a drone using a phone app is the most horrible thing you’ll experience in 2019. Furthermore, this drone is capable of shooting stuff in 720p. Not the most groundbreaking resolution out there, but it’s good enough to give you a crystal clear bird’s eye view of everything. You get dedicated buttons for take-off and landing allowing you to get up in the air with little to no practice. 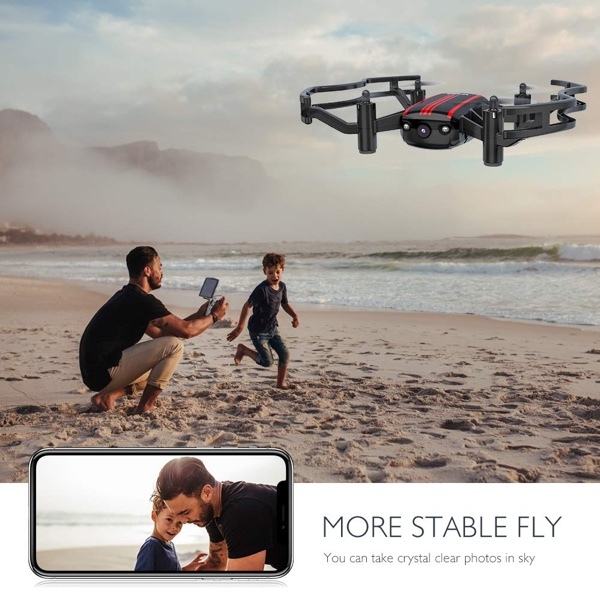 You can even trust the drone to hold its altitude thanks to the built-in optical sensors, which is nothing short of amazing on a drone of this price. If you wish to fly this drone using VR, you can do that as well. Simply slap your phone onto a VR headset and fly away like a bird. Last but not the least, the drone comes bundled with a lot of handy accessories too. This includes 4 extra propellers, a USB charging cable and a propeller remover tool. All this, for a price of just $38.99. This price does one thing really well: give the Tello a run for its money.